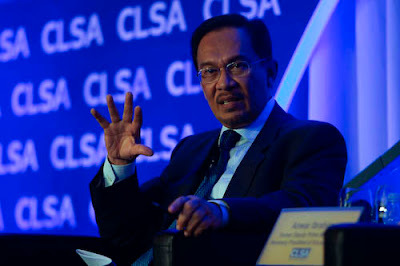 Keynote address by Anwar Ibrahim on 20th May 2008 at the CLSA Corporate Access Forum in Singapore, a high-profile gathering of corporate decision makers of the region’s most interesting companies and investment bodies. On the 8th of March, with fortitude and conviction the people of Malaysia sent a clear message to the powers that be they would not continue to tolerate a corrupt and incompetent government. 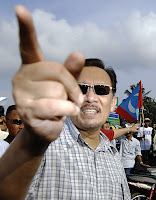 With resoluteness hitherto unseen they voted the Barisan Nasional out of office in four states and terminated their stranglehold two-third majority in Parliament. In the final toll, the Pakatan Rakyat, that is, the People’s Alliance, now controls five states accounting for about 60% of the nation’s GDP. Additionally, the Federal Territory of Kuala Lumpur is almost entirely represented by Pakatan representatives in Parliament. After being in power for five decades, the Barisan Nasional meanwhile is still in comatose under this knock out defeat while its dominant and dominating anchor party UMNO is in utter turmoil. In this defining moment of Malaysia’s history, the courage and singularity of purpose of the people has been extraordinary. Having suffered the slings and arrows of an outrageous regime that had become very cozy with the culture of corruption, wastage and misuse of power, the people marched headlong into the battlefield and took the bull by the horns. To my mind, the 8th of March, 2008 is the metaphor for the birth of a new era where the millstone of race and religion which had been our burden to bear for the last fifty years has finally been shattered. With one stroke of the mighty pen, notwithstanding the overwhelming forces of electoral fraud and collusion of the organs of state, the people transformed the political landscape of the nation. This will be a new chapter indeed for Malaysia indeed as it was for Indonesia not too long ago when the waves of reformasi swept the country taking it out of dictatorship to democracy. In a way, it was also for Myanmar though tragically the iron hand of military oppression proved far stronger than the earnest cries for justice and liberty. A New Economic Agenda has been crafted borne of a long-term strategic vision to develop Malaysia into a prosperous and dynamic society competitive not just in the region, but in the world. We are not talking about knee-jerk reactions or strategies calculated to gain political mileage. This Agenda is a comprehensive program that we earnestly believe is sustainable in the long run. According to a recent survey, young Malaysians are now open to more multi-racial socio-economic policies as opposed to race-based ones. The general consensus is that affirmative action should be given to the poor and the marginalized regardless of race or religion. Notions of social dominance and racial superiority find no resonance among the people except for those diehards still bigoted over ancient and archaic forms of political ideology. That is why our New Agenda is not purely economic. Its viability depends very much on observing the principles of democracy, socio-economic justice, equal economic opportunities and religious freedom. There is no contradiction in talking about affirmative action while waving the banner of equal opportunity because a level playing field can never be level unless and until the poor and the marginalized are taken out of the vicious cycle. 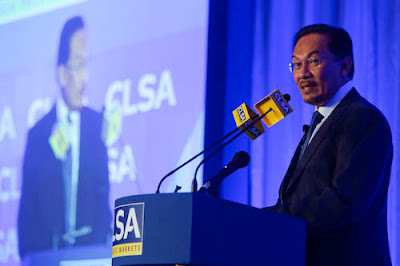 The broadest platform that forms the bedrock of this New Malaysian Agenda rests on policies formulated to bring maximum benefit to the people across as broad a spectrum as possible in order to uplift the living standards of the ordinary Malaysian. Ostentatious projects will be shelved. Public expenditure will be focused on infrastructure such as transportation, health and education. There is no doubt that we will be pro-business but the New Agenda will redress the social inequities unleashed by the forces of the free market. Rent-seeking activities, for example, must be kept at bay. Predatory marketing will be outlawed. A more comprehensive regulatory structure will be crafted with the bulk of the input from people actually in the business. All this may raise the alarm that this is populist agenda which encroaches upon free market principles. On the contrary, the New Agenda aims at taking Malaysia to the status of a developed nation that is built on the people’s trust with accountability, transparency and good governance. Let us first of all answer the question: What is Malaysia’s status today? We hear for example politicians talking about how rich Malaysia is compared to some of her neighbors and how we have recovered so well since the Asian financial crisis of 1997. The truth, however, says otherwise: South Korea and Taiwan were much poorer than us in the 1970s but today their per capita income is US$19,200 and US$15,270 respectively. Our per capita income is only US$6,240. And we haven’t begun to talk about Singapore, a city-state of four million inhabitants. 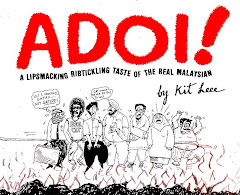 At US$30,810, it is five times that of Malaysia’s. The enormous difference becomes all the more glaring if we consider that just 30 years ago, Malaysia was neck and neck with Singapore. If we analyze deeper we will realize how even more troubling the numbers are. The per capita income scenario paints only a partial picture. What we don’t see is the gross inequality in income distribution. In 2005, Malaysia registered the most glaring GINI coefficient in Southeast Asia, worse than Indonesia and Thailand. As you know, being the most effective measure of income disparity, at 0.47, Malaysia was number two in Asia losing only to Papua New Guinea. This is a devastating indictment of the failure of the New Economic Policy, crafted almost four decades ago. In the area of the urban-rural gap, this policy has also been a complete fiasco. 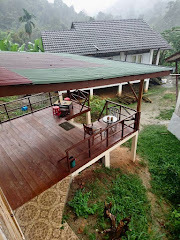 In 1999, income in rural homes was 55% that of urban homes with the highest poverty in mostly Bumiputera majority states such as Kelantan, Terengganu, Kedah, Perlis, Sabah and Sarawak. Of course there has been some development in the country but we do not see anything impressive in the numbers unless we still want to compare ourselves with African countries. Incidentally, Malaysia’s poverty reduction statistics are unreliable because our base rate is unrealistic. By far the most damning case against the NEP is that it has been hijacked by the ruling elite to satisfy their lust for wealth and power. No doubt this was a multi-racial rip-off of the most systematic kind: the leaders of the component parties of the ruling coalition working hand in glove with UMNO to deprive the deserving Malays, Chinese, Indians, Ibans and Kadazans of the benefits that were to be derived from the NEP. Tender procedures, transparency and independent evaluation in privatization issues, equity distribution, all these were swept aside in the name of the NEP on the sacred ground that this was all for the benefit of the Bumiputeras. But the numbers stack hard against the hype. Just compare the money spent on scholarships with say the tens of billions expropriated by the select few in equity awards, Approved Permits, contracts to companies controlled by families and cronies, and the billions in profit reaped on account of privatization projects and schemes. There is also a high economic cost to this gross abuse of the policy. The people have to pay higher costs for energy, water, highway tolls. The people’s protest falls on deaf ears. The decline in FDI as well as private domestic investment is serious. This collapse has led to serious underperforming by Malaysia in the region. India in the last five years saw its investment/GDP ratio rise from 22% to 34% and Brazil’s ratio shot up from 15% to 27%. Malaysia’s ratio, on the other hand, plunged to 9% last year from 30% in 1996. In terms of FDI over GDP, Malaysia plummeted from 8% to 4% for the same period. This is one of the steepest declines anywhere in the world. What these numbers signify is the plunge in the level of competitiveness and the degree of profitability of companies and there is no reason to imagine things will improve for the better barring a drastic change in circumstances. As a matter of fact, for the World Competitiveness Index for 2007/08, Malaysia dropped two notches from last year’s standing. Yet the authorities are touting Malaysia’s so called impressive current account surplus which increased from 8% in 2002 to 14% in 2007. But what it means really is that investments have fallen and hence a decline in the import of capital goods. Even Malaysia’s growth rates for the last five years will show that private consumption is the main driver for the increase. What has not been highlighted, however, is the fact that our economic growth is essentially fuelled by borrowings to such an extent that individual indebtedness is now the highest in the region. Just last year, I spoke about the lessons of the 1997 Asian financial crisis. Once again, the question is: have the Malaysian authorities learned anything? Malaysia lags behind other emerging economies in spite of a diversified economy with commodities and manufacturing and a relatively good physical infrastructure. Our competitiveness suffers because of the failure to develop and keep innovative human capital. Our brain drain problem is legendary. This reflects foundational weaknesses in our educational infrastructure as well as a policy of mismanaging the vast human resources. The traditional mindset of bolstering the manufacturing sector as a key driver for economic growth must also be changed in an age where information and knowledge provide the bedrock for growth and competitiveness. We suffer also because of the high cost of doing business, a cost which is reflective of the failure to observe the basic standards of good governance and to fulfill the demands of accountability. At the end of the day, these principles will continue to be compromised when those who hold the trust of the people succumb to the temptations of power and fall victim to the cancer of corruption. 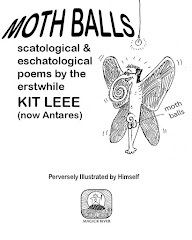 The report of the Royal Commission of Inquiry into the V.K. Lingam scandal has fully vindicated our earnest efforts to expose the corruption that has beset the highest institutions of power. The Malaysian judiciary once touted as one of the best in the world has been severely compromised. Judge fixing, ghost written judgments, horse trading in judicial appointments, these are the symptoms of a judiciary ravaged by executive influence and interference and corruption by the rich and the powerful. We cannot overemphasize the importance of an independent and competent judiciary to realize the objectives of the New Agenda because bereft of such an institution, the rule of law itself hangs in the balance. When justice can be bought and sold, the economic implications are extremely far reaching. Foreign investors want impartial and fair hearings in trade and commercial disputes. The fact that most international contracts executed in the region choose Hong Kong or Singapore rather than Kuala Lumpur as the forum for arbitration speaks volumes about the level of confidence of the international business community in Malaysia’s judiciary. From one corridor to another, with pledges of billions of ringgit to be poured into infrastructure and other projects, the Federal government is still trying to foist on the people undertakings of such a gargantuan scale that make the mega projects of the previous administration look rather tame. This lavishness in spending is symptomatic of the Barisan’s conventional responses to the economic woes of the nation. They have given supply-side economics a new meaning, predicated on the assumption that the supply of money has no limits. History has already shown what dire consequences such a philosophy can bring. Forged on the anvil of greed and self-interest, these projects can only see the light of day if and only if the main beneficiaries are cronies, family members and conglomerates connected with the ruling elite. Hence, projects which were in the pipeline before the elections suddenly become unviable now that they would be in the States governed by the Pakatan. Perhaps this is the silver lining to the clouds that hang over the Pakatan-controlled states because we want no part in the plundering of the people’s wealth by the UMNO-controlled Federal government. They must be held accountable. In spite of these concerns we will honour commitments already made, excepting for gross abuse and corruption, and will seek new ways of engaging with the international investor community under the principle of responsible competitiveness that would encompass conservation, sustainability and fair labour practices. The New Economic Agenda recognizes the multi-ethnic composition of Malaysia and therefore is fortified with a policy to foster and nurture a plural and tolerant society. After all, that was the catalyst for the formation of our nation pursuant to a social contract to build a nation that is harmonious, just and fair. That cannot be realized without a New Agenda relevant and just to all. The Bumiputera community is ready for this change because it will continue to be firmly grounded on affirmative action to help the poor and the marginalized. The fear that such an agenda will erode the rights of the Bumiputera is but the consequence of the racist chanting of some UMNO leaders who will stand to be the biggest losers in the new agenda. So, fearing the prospect of their corrupt sources of income being reduced if not altogether eliminated they resort to stoking the fires of racist sentiments through the mainstream media controlled by them. Our policy is simple and straightforward enough. We do not intend to do away with the affirmative action principles outlined in the NEP, but we will apply them across the board making them available for all races on a needs basis. The question is: Should we condone the abuses of a policy which make the rich richer and the poor poorer or should we not support a policy that provides equitable assistance to all needy Malaysians? Again, to the detractors who will continue to distort the new agenda as an anti-Bumiputera policy, let me reiterate that the interests of the Bumiputeras will never be compromised because we are committed to building a new system that is just and fair. In this new order, no one will be left behind on account of race or religion. Unlike the current scheme of things, the New Agenda will put in place mechanisms to ensure that economic aid goes to those who most need it. For example, small traders who form the bulk of the Bumiputera community in business enterprises will therefore be better off than they ever were under the NEP. Certain detractors have pointed out the road to a more deregulated free market economy will lead to the abandonment of social instruments. We would answer this by saying that we have no intention of abandoning of our electoral promises among which is the promotion of social justice. We advocate no doubt Hayekian free enterprise but we don’t think Adam Smith’s invisible hand will be that responsive to the changing times. Hence, whenever necessary, to paraphrase John Kenneth Galbraith, we temper free market with an appropriate dose of state intervention to rectify the social inequities attendant on the interplay of pure market forces. We don’t think that we need to apologize for advocating a policy on fuel, health care and education which is calculated to ease the burden of the rising cost of living. We call this humane economics. Bearing in mind our diagnosis of the Malaysian economy and the state of our nation, the New Agenda will set in place the drivers that will take the country out of the doldrums to greater heights. In other words, measures will be in place to ensure that private investment as well as FDI will return with a vengeance. The conditions precedent for Malaysia to regain its status as an attractive destination for investors must include the rule of law, a regulatory framework, and incentives to develop our human capital. At the same time, with the implementation of more prudent macroeconomic management, growth will be stimulated without getting out of hand. The State economies under the control of Pakatan Rakyat will become more robust and vibrant. In spite of the efforts of the Federal government to derail development projects, we are confident that these state economies will be able to forge ahead. The SMEs too will benefit from a policy that recognizes the role that they play in an economy that will be increasingly more globalized. Take care of the head and the tail will take care of itself. With transparency and accountability in place, cronyism and corruption will die a natural death thus immediately lowering transaction costs while enhancing improvements in service delivery. 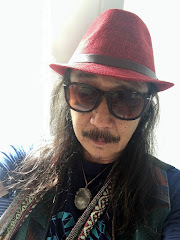 If I may conclude with an apology to Shakespeare: Now is the winter of our discontent made glorious summer by the sun of Pakatan’s New Economic Agenda. Victory lies in courage and conviction to replace the old with the new, the obsolete with the functional. Without this paradigm change, Malaysia will be adrift in an ocean of uncertainty at the risk of being marooned on the island of oblivion. We must take the current when it serves or forever lose our venture. 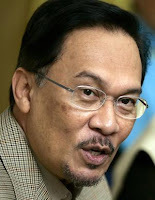 Someone tipped me off that ..
Raja Petra Kamarudin is a Commoner ..
Q1: How come Raja Kamarudin has TWO GRANDFATHERS ie. 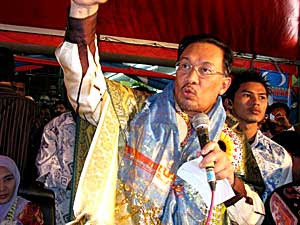 Raja Uda and Sultan Musa? 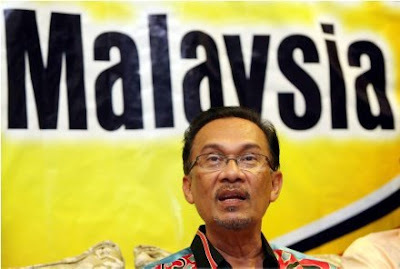 Q2: Why he refused to answer such questions posted in his own site (Malaysia-Today.net)?